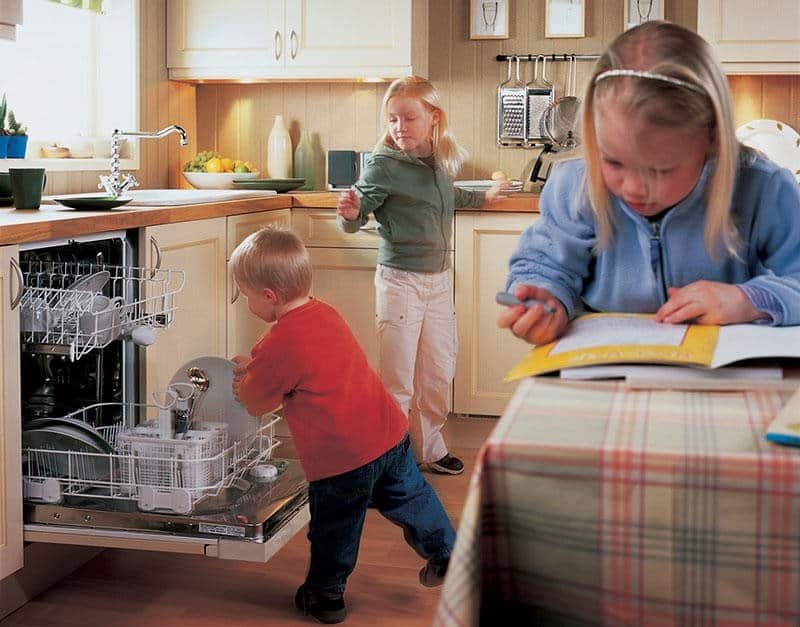 Kids love feeling helpful in the kitchen! Involve them in activities they can safely handle and that are appropriate for their age. The first step in the kitchen is to wash hands thoroughly with soap and warm water for 20 seconds, or the length of two choruses of the “Happy Birthday” song. Clean vegetables with vegetable scrub brushes. Measure out dry ingredients with measuring cups and spoons. Use the microwave oven if supervised by an adult. Remember to practice the proper microwave safety.